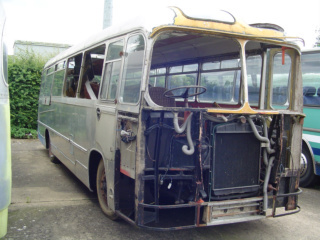 The ex Whippet Bedford SB5 Yeates Fiesta 746FEW is also stored at Kenzies, apparently owned by former Whippet director Peter Lee. No further work has been done to it since it left Whippets after the Lee's sold out to Tower Transit. Not sure what its fate is now, I understand from Peter that he was trying to find indoor accommodation for it to continue restoration. I took following pic in July 2017 but its was still there this week all be it with a tarpaulin over it.